Now back in stock. 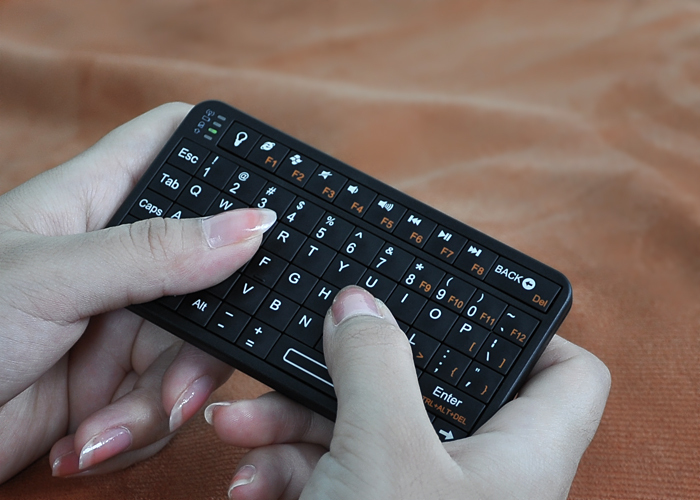 The RII Mini wireless keyboard is a compact, 66-key portable keyboard about the size of a phone. The large, distinct buttons are easy to find by touch, and the design includes a full number row as well as Control and Option keys for VoiceOver users. 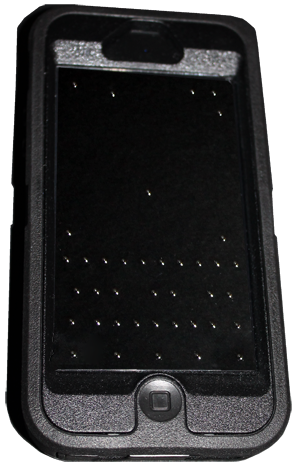 This keyboard is compatible with all accessible versions of the iPhone, iPod Touch and iPad as well as Windows and Mac computers and Symbian and Windows Mobile 6 phones. It also works with Android phones and tablets running version 4.0 or later. Charge the keyboard with the included mini USB cable. 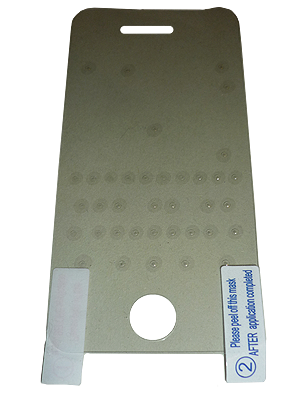 The box will include the keyboard and a mini USB cable.< We offer a 90 day warranty against defects on this item. Please write us if you are using a Nokia or Windows Mobile phone and we will provide appropriate drivers. To pair the keyboard, press and hold the only button on the bottom side of the unit for about two seconds. If you need to enter a pin, the number row is the second row from the top, with the number one the second key from the left in that row, next to escape. Enter is the long key on the right end of the 5th row. Below is the key layout for this keyboard, starting with the top left. First we give the function for each key and then we include info for each key when pressed with the Shift or Function keys. For a good reference of Voice Over commands, check out this blog post from Hllf. Note that due to the nature of the keyboard, you may need to turn on quick nav to access some VoiceOver commands. Mor details are in the blog post above. This keyboard is compatible with phones running Android 4.0 and up. Below are some helpful Android shortcuts.